Os heats acabaram por volta das 19.45m e, após as repescagens nas 4 classes em competição (HP, IC, Waveski e SOT), os resultados deste primeiro aqui ficam. 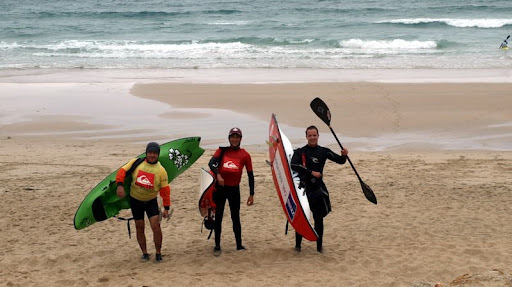 Excelente trabalho por parte da organização e do júri constituído por quatro elementos: Julio Roman, Alejandro Menendez, Jose Bustabad e Juan Varela (todos juízes de surf). Amanhã, semi-finais e finais! The heats run until 7.45m PM and, after the recaps, here stays the final results of this day. 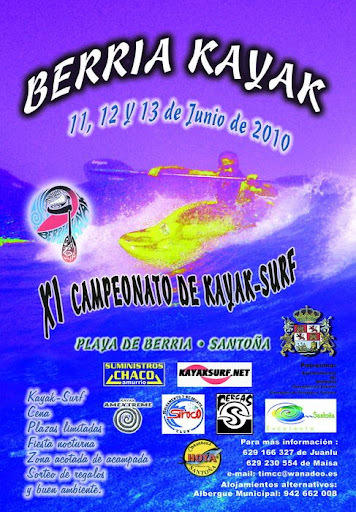 Excellent work done by the organization and also by the 4 surf judges of the contest. Tomorrow, semi-finals and finals. The contest still runs and here are the names of the surfkayakers and waveski raiders confirmed for tomorrow - semi finals and finals. Soon, another report directly from Galicia, Spain. 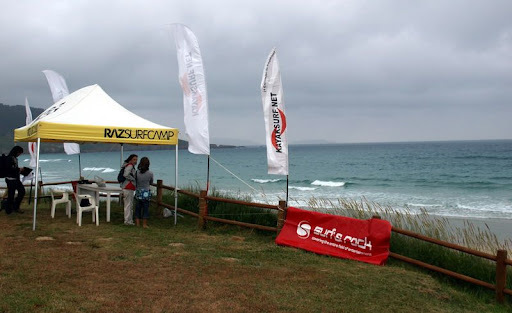 Em directo da praia de Razo, estamos prestes a começar o 1º Campeonato galego de kayaksurf. As incrições decorrem ainda, o mar apresenta-se algo desordenado com meio metro de ondas, tempo nublado. 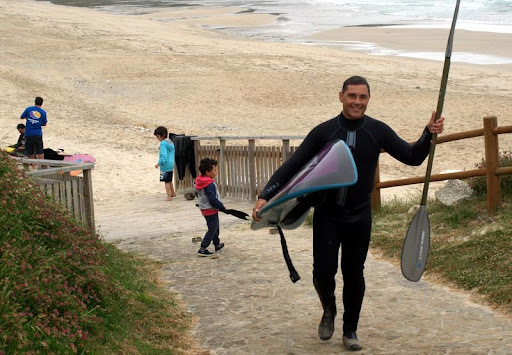 Mas à tarde tudo vai melhorar ;) Quase 40 inscritos 33 na classe kayaksurf, 10 em waveski e 6 em SOT. Estejam atentos às NEWS. À tarde os resultados do primeiro dia! 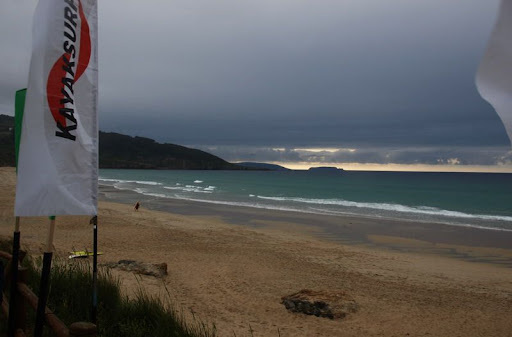 First report directly from Razo Beach, Galicia, Spain. 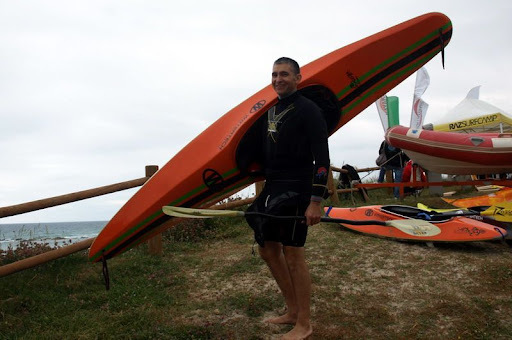 It's the first galician kayaksurf championship and counts with almost 40 entries - kayaksurf (33), waveski (10) and SOT (6). The swell is not to high, some clouds in the air but in the afternon, things will go better ;) Keep an eye on the news for the this afternoon! 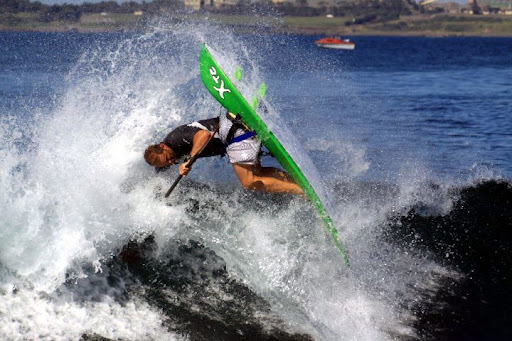 Shaun Holmes é o homem forte da Solamanzi e tem-nos enviado alguns reports sobre os eventos de waveski directinhos da África do Sul. País com tradições seculares nos desportos de mar, toda a costa reúne grandes spots de surf. Fica o report publicado igualmente no site de Shaun e que é assinado por Gareth Evans (a prova decorreu no fim de semana de 23 de Maio). 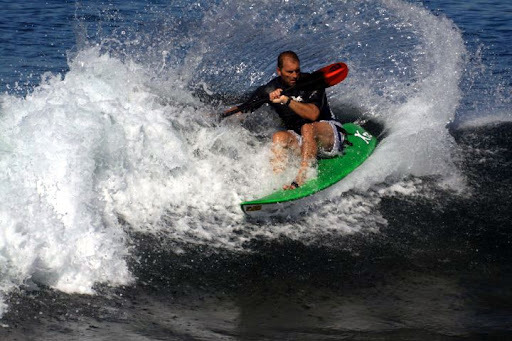 Shaun Holmes is the front man of Solamanzi and usually sends us the latest news about some waveski comps in South Africa. This one is about a contest that occurred in latest May. It's also published in Shaun's website and signed by Gareth Evans. Enjoy it! 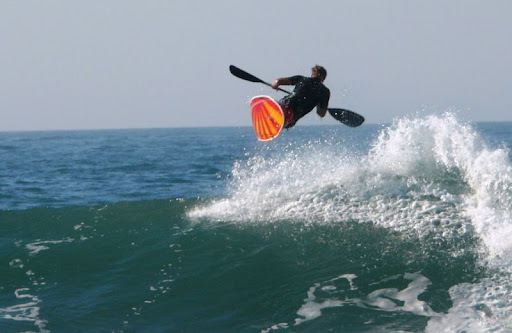 Here is the latest Border Waveski Trial report form The Kiwi in South Africa, Gareth Evans. 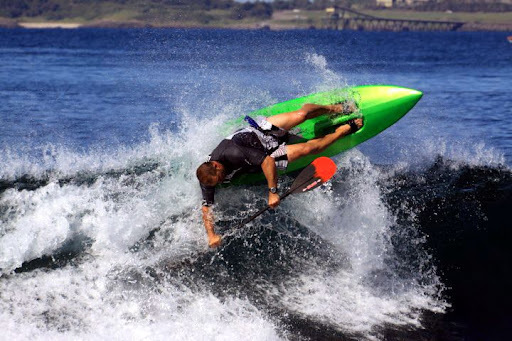 for more information about this crazy Kiwi visit Gareth Evans Waveski Homepage. A cool breeze gave me a morning shiver as I loaded my ski onto Doug's truck. As we cruised the patchy tarseal out towards the Wild Coast resorts, the sun rose blood red - a true african sunrise - I've never seen the like in New Zealand. We trudged down the beach to the point, dragging all our gear with us and the comp flag. The surf was medium sized and setty, not quite clean with the East wind the previous day and a light North breeze. 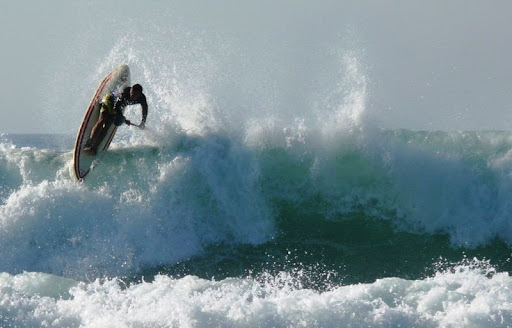 It is another of those waves that seem to set SA surfing in another league from NZ. Everyone rocks up to a comp at this sharp point with a wave wrapping round into a narrow, deep bay. Consequences of getting smashed are a fast, hard ride into semi-submerged rocks or worse - up onto the dry rock point. No-one complains or thinks it's anything other than business as usual, whereas this would be an expert only break in NZ and I'm pretty sure no comps would be held there. A bash to the head and a broken paddle, some bumps over rock - par for the course out here. 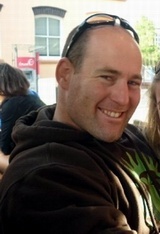 It's quickly evident that Mike is very at-home in reef breaks and not just at Nahoon Reef. His positioning and reading of the waves is spot-on and consistent - and that's the hard thing at this wave today - consistency - as the waves are coming in and breaking at different angles with some nasty close-outs on the inside if you choose wrong. A pre-comp warm-up at mid-tide and cleanish large waves was probably the best part of the surf, with the first few heats getting some good size sets. 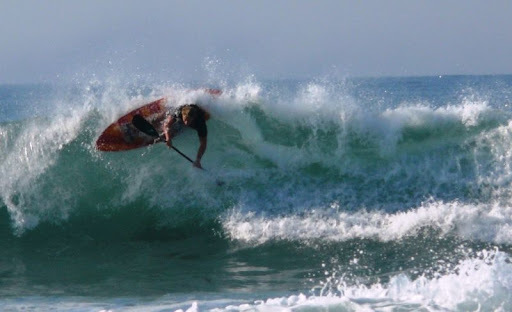 After that, it got more choppy and lulls between sets got longer, sometimes a whole heat suffering from poor surf. But, as the photos clearly show, there were waves and the faces were clean. 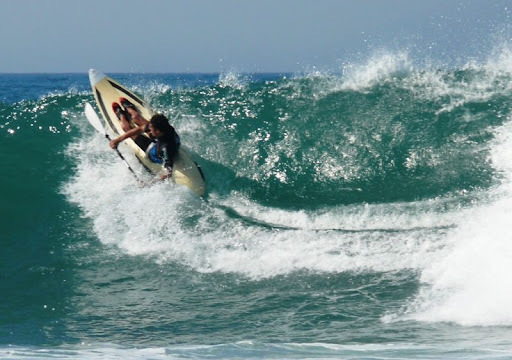 Most improved surfer - would have to be, Craig Powell. Last comp he got back in the water for the first time in a while and looked a bit shaky. This comp he just got better and better with consistent solid moves through the lip in critical sections. Young Ruan goes so hard, he really puts it on the line. 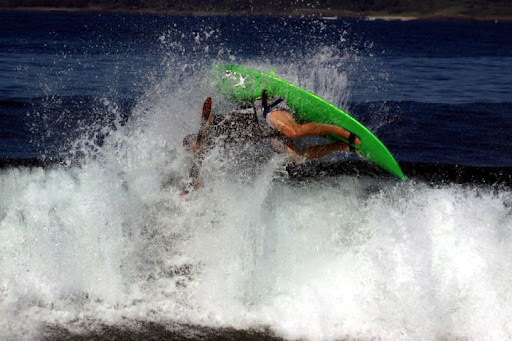 His head paid the price as he washed into the rocks, but he just shook himself and paddled back out, turned round and took another late drop and big move. The surfing from everyone from the young to the old, and the ladies was just impressive. It would have been good anywhere, but on this break it showed commitment and style. It was great to see some new faces at this comp. 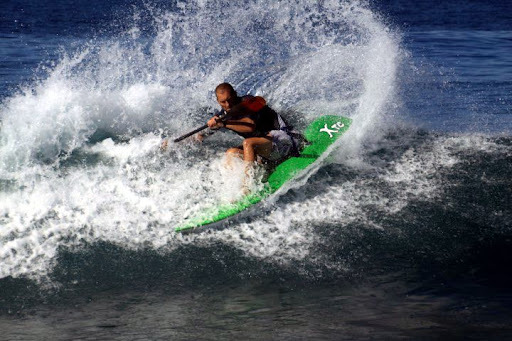 Waveski is definitely still alive when you can field such a range of ages and solid abilities throughout. Queensberry itself is a lovely spot - with fishing, swimming in the bay, clean water and good surf. The choice of surf spots when you get to the carpark is good, with Glen Eden on your right, good in a N wind with a point break and beach break option, and Queensberry on your left - prefers a W wind. There are also plenty of reef breaks of varying quality and make-ability in between that look worth a try in the right conditions. 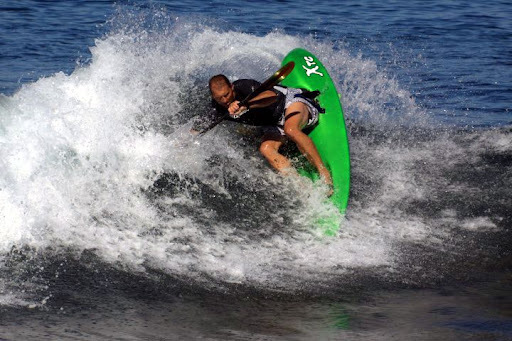 The wind stayed light, it was hot and cloudless and the water was comfortable enough that many surfed in shorts only. Two huge airs for the day were captured on camera - one from Dave that followed through to a clean landing and one from Ruan that looked great until the landing. Maybe we should have a Big Air Competition, see how high we can go when that is the only requisite. Two heats and then a final meant the comp was over in a reasonable period. 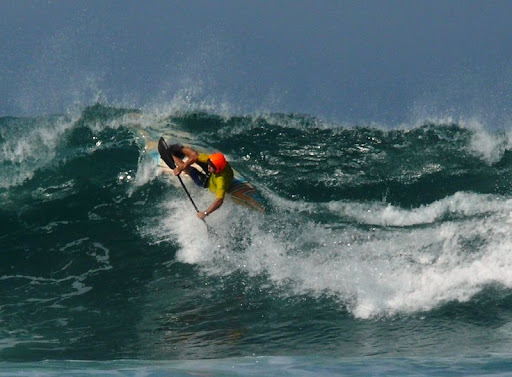 The final was hotly contested in average surf. I haven't had results yet, but again Mike was so consistently pumping out solid rides I'd have to say that I don't think there would be much question around the winner. 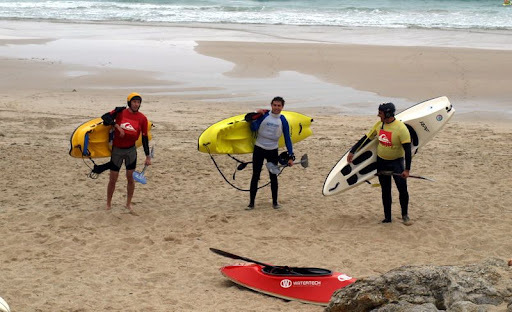 El fin de semana del 11, 12 y 13 de Junio, la A.D. Berria Kayak de Santoña organiza el “XI Campeonato de Kayak-Surf, Playa de Berria” donde podremos disfrutar de un buen ambiente de amigos del kayak con las siguientes actividades. 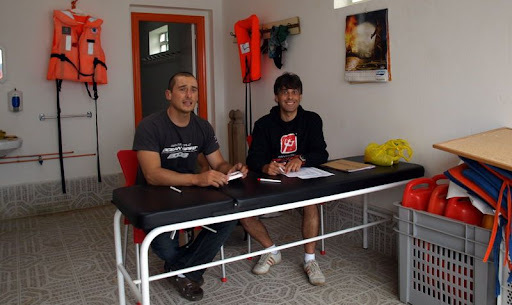 Recepción de los asistentes a lo largo de la tarde y noche en la zona de los últimos años. Barbacoa de bienvenida (hasta que se acaben las viandas). 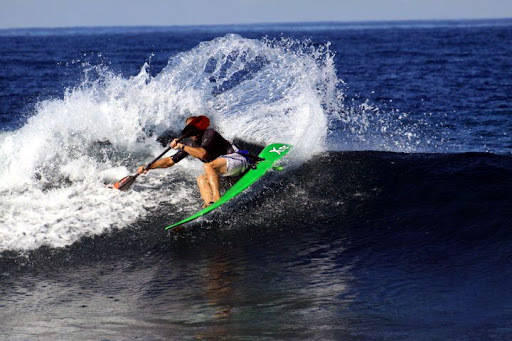 Durante todo el día, los que quieran, podrán disfrutar de las olas, pero por la tarde cuidadín con la zona balizada de competición. Posibilidad de acudir al mercadillo en Santoña (cada uno por sus medios). 11:00 Comienzan las inscripciones con entrega de recuerdos del evento. 21:30 Cena para los inscritos, en el Restaurante El Gromo (como el año pasado). Después intentaremos sortear algún regalo (hasta que la crisis lo permita). 00:00 Música y juegos en la zona de acampada. 09:30 Desayuno para los participantes, (incluido en la cuota de inscripción). Los más torpes estaremos en el agua, pero fuera de la zona de competición. (los jueces del Campeonato tienen un carácter). 13:30 Entrega de trofeos y despedida. MERCADO DE SEGUNDA MANO: En la zona de acampada dispondréis durante todo el fin de semana de una zona acotada para, a vuestro cuidado, poner los artículos que queráis vender, cambiar o… ¿regalar? El precio de este chollo (salvo cambios de ultimísima hora)… 25€ para los mayores con camiseta incluida y los peques lo hacen con 10€, (a este paso nos convierten en una ONG). Estaría bien que enviaseis un mail ( timcc@wanadoo.es ) para, sobre todo de cara al restaurante, ir haciéndonos a la idea de cuantos vamos a estar. Gracias e todo o sucesso para o evento! Se fizermos bem as contas, a SESSION deste ano tem mais de 3000 euros em prémios para sorter! Um agradecimento muito especial a todos os apoiantes e patrocinadores da edição 2010. Já demos destaque a alguns dos principais prémios, mas aqui vão de novo com os respectivos LINKS. Será que vai ser um dos sortudos que, após o jantar, terá uma sobremesa de luxo? 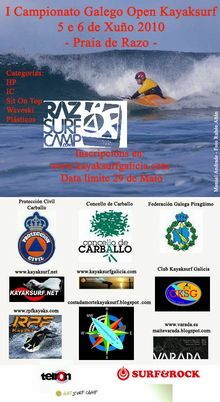 This year edition of KAYAKSURF SESSION in Figueira da Foz (Portugal Central West Coast) will have around 3000 euros in prizes! 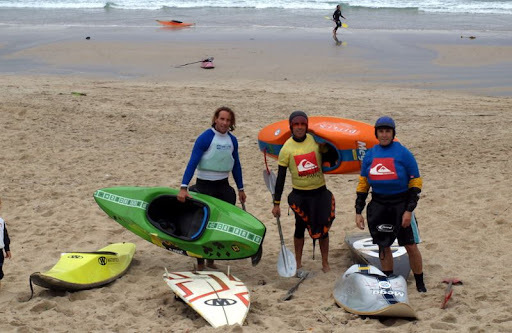 This event is organized by kayaksurf.net + Figueira Kayak Club and Figueira da Foz Town Hall. It's a non competitive event and all these prizes will be raffled duringt the dinner. Below, the links for the sponsors and supporters of all the event. Thanks!! EM NOME DA ORGANIZAÇÃO CONJUNTA, OBRIGADO A TODOS!! 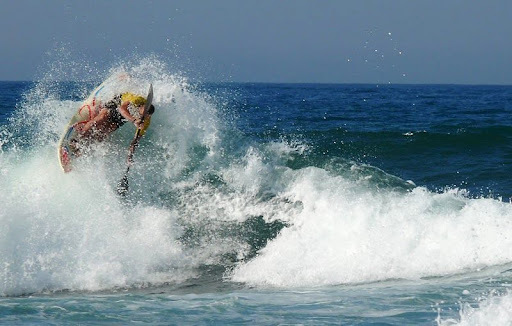 Novas fotos de Lance Milnes / Grande surf... como sempre! 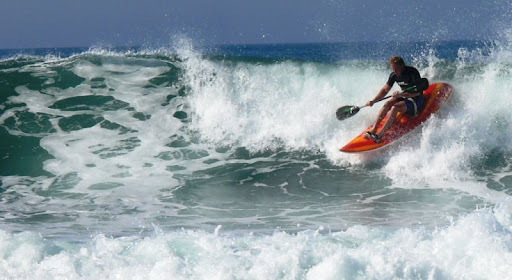 É o campeão mundial de waveski (classe masters) e continua a partir tudo sempre que vai à água! Depois da enrevista que nos deu, Lance Milnes envia-nos esta fotos de uma surfada da semana passada algures na Austrália. As fotos foram sacadas pelo pai de Lance. 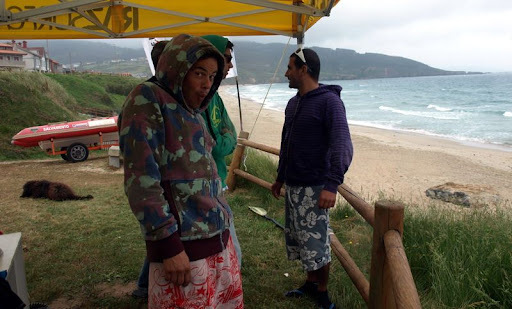 Grande surf! !